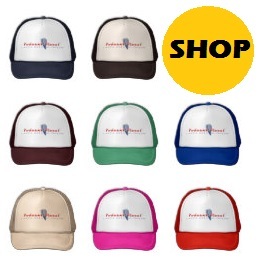 Tired of going online every time you want to listen to your favorite podcast? Below are a few easy steps to getting the best of Podcast Planet automatically synced to your phone. 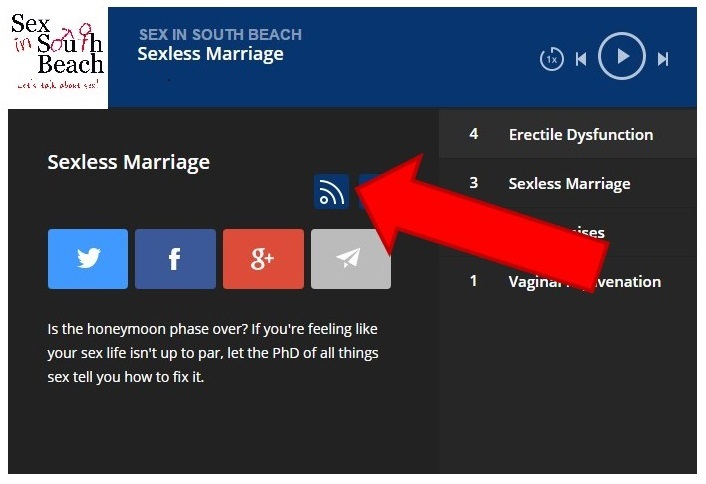 The easiest way to get podcasts streamed directly to your device without having to download each episode individually is by “subscribing” to the podcast channel. Subscribing means that each time a new episode of your podcast is posted, it uploads directly to iTunes (and the “Podcast” app on an iPhone). In this way, you can tune in to listen anytime, anywhere without having to download the episode beforehand. 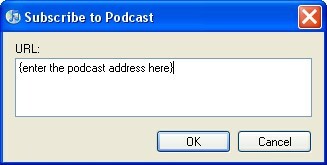 In order to do this, you will want to scroll past a channel’s description on its Podcast Planet show page until you reach the player. Underneath the blue bar in the player will be the “subscribe” button. If you are having trouble locating the “subscribe” button, please refer to Image 1. When you click the subscribe button, a new tab will open with a bunch of bracketed gibberish. This is the RSS feed. Luckily, we staff a full team of coding elves to handle all the scary computational stuff. What you will want from this new tab is the URL located in the top toolbar. For help with the location of this hyperlink, check out Image 2. The next step is to open iTunes. For iTunes 12.1.0.71 or later: On the iTunes top toolbar, go to the “File” dropdown menu and you should see the “Subscribe to Podcast” option. But make sure to click into the podcast section of your iTunes first (instead of music or movies, etc.). For previous versions of iTunes: The next thing to do is open up iTunes. On the main menu toolbar of iTunes, click the “Advanced” drop down menu and select “Subscribe to Podcast” (Image 3). A pop up box will appear – place the URL you copied (in Image 2) into this box (Image 4). Click “OK” and your downloads should begin immediately. After clicking “Choose Application…” you will see a pop up box. Select “iTunes” (Image 6). There will be a “Live Bookmarks” box that appears next (unfortunately, there is no Image). Click “OK” or “Choose Application” (whichever appears in your software) and the box will disappear. 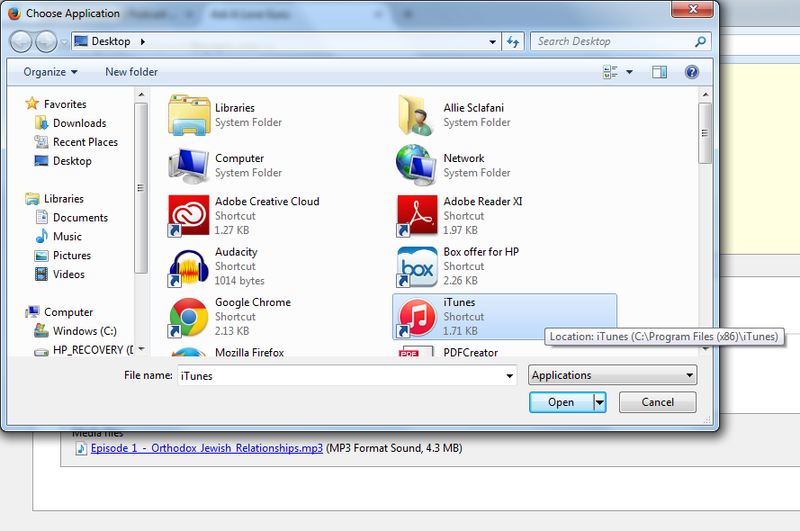 You will now have an “iTunes” option in the original dropdown menu (Image 5). Click “iTunes” and then the “Subscribe Now” button. When you click the “Subscribe” button in the player, a new pop up window will appear in a new tab with a “Subscribe to this feed” button and a list of podcast episodes (Image 7). DO NOT click “Subscribe to this feed.” Instead, copy the URL in the top title toolbar. For iTunes 12.1.0.71 or later: On the iTunes’ top toolbar, go to the “File” dropdown menu and you should see the “Subscribe to Podcast” option. But make sure to click into the podcast section of your iTunes first (instead of music or movies, etc.). Congratulations! You are officially subscribed. Now new episodes of your favorite podcast will automatically upload to your iTunes. No hassle, no stress — just the way we like it. If for any reason you are still struggling to subscribe to one of our podcasts, please feel free to contact us and we’ll be happy to assist you! Keep calm and awesome on.